This year, I'm planning on doing Spud a Halloween hamper to enjoy throughout the day as I attend a family member's wedding. I've done Spud themed hampers for Easter and Christmas previously, and so this will be my first Halloween themed hamper, but I've had no difficulties whatsoever in what to put inside! I purchased Spud a Cookie Monster teddy from Sayitwithbears to place in his Halloween hamper, however I know this will be a teddy Spud will cherish forever! 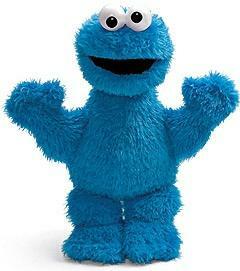 Cookie Monster is a much loved and well known character from the popular children's TV show Sesame Street, and as far as monsters go, he's got to be one of the loveliest and cutest monsters around! There are many Halloween pyjamas in supermarkets nationwide including much loved characters such as the Minions and Scooby Doo. 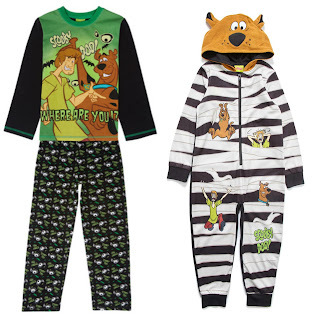 I've narrowed my search down to two sets that I love, one being Scooby Doo pyjamas from Sainsburys for £12 and the other being a Scooby Doo onesie from BHS. Both items are priced at £12 (onesie is on offer from £15), however I just can't pick what ones to get Spud! Maybe I'll just get him both! 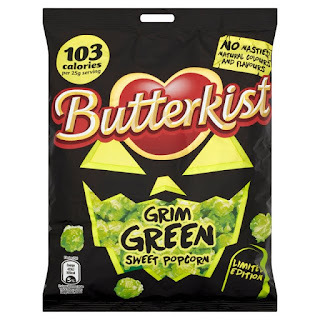 When doing my weekly food shop yesterday, I come across this limited edition Grim Green Sweet Popcorn from the well loved popcorn brand Butterkist, priced at just £1, I picked up a couple of bags! One bag is for Spud's Halloween hamper, and the other is for Gareth, who will be looking after Spud for me for a few hours whilst I attend the wedding. To keep Spud entertained throughout the day, I purchased this book from Scholastic for a mega bargain of just £2! 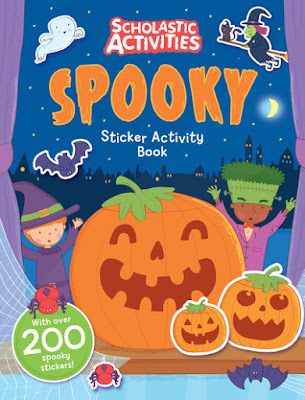 The book comes with over 200 spooky stickers, as well as being filled to the brim with pages of fun Halloween ideas and games! There's also pages to colour in as well, so I'll add a new pack of colouring pens or pencils in too! We're still waiting for the much anticipated release of Hocus Pocus 2 (as you all know by now, we're big Disney fans!) and as Hotel Transylvania 2 has just come to our cinema screens, it's not possible to get a DVD copy! 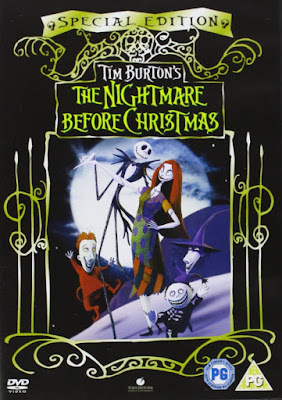 I'm thinking of getting Spud a copy of The Nightmare Before Christmas on DVD, although we've seen the film previously, it's a title we don't own ourselves! It's on sale for only £3 at both Amazon and Tesco! If you're planning on doing a Halloween hamper, do you have any idea's on what to put inside?